Healing with Zen | Acupuncture & Herbal Remedies | Pasadena, CA » Blog » What is Ear Acupuncture? Ear acupuncture is often incorporated into acupuncture treatments due to its efficacy with communicating with the nervous system. It is done by inserting needles into specific points on the ear to encourage healing in other areas of the body. The basic concept of ear acupuncture is that the entire body can be mapped out on the ear from head to toe, thus if we treat that corresponding area on the ear, we also treat that area of the body. To learn more about ear acupuncture watch our video our read the blog post below. Ear acupuncture has been used to treat a plethora of conditions including headaches, allergies, addiction, weight loss, and pain management just to name a few! Ear acupuncture has been used since it’s conception in ancient China thousands of years ago to alleviate pain and treat other symptoms. Ear Acupuncture can also be used during diagnosis by the acupuncturist as each corresponding point can be palpated to check for level of tenderness. When a specific point on the ear is tender, it indicates that the corresponding area of the body or the corresponding organ needs to be balanced and treated. During Ear acupuncture, every detail counts and the practitioner will notice the color of the skin and the veins as well as the texture of the skin. Finally, Ear acupuncture can be performed with small, hair-thin needles during the general acupuncture treatment session. Treatment can also be done by using ear seeds, which are stickers that can be applied to increase stimulation of a point even when the patient is out of the acupuncturist’s office. We will get into the different types of ear seeds later on in this ear acupuncture series. that you can palpate at home! 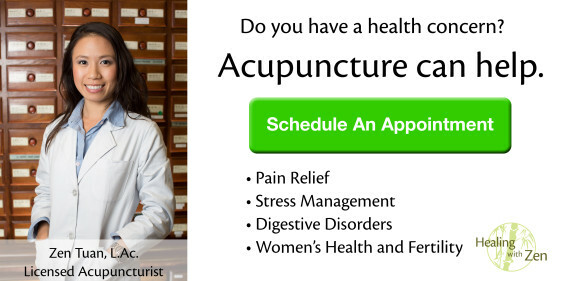 If you or anyone that you know would like to address any chronic pain, addiction, or other issues through the gentle use of Ear Acupuncture, click HERE to book an appointment with our licensed acupuncturists!